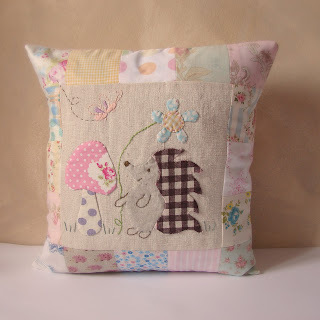 New cushion available in my shop. 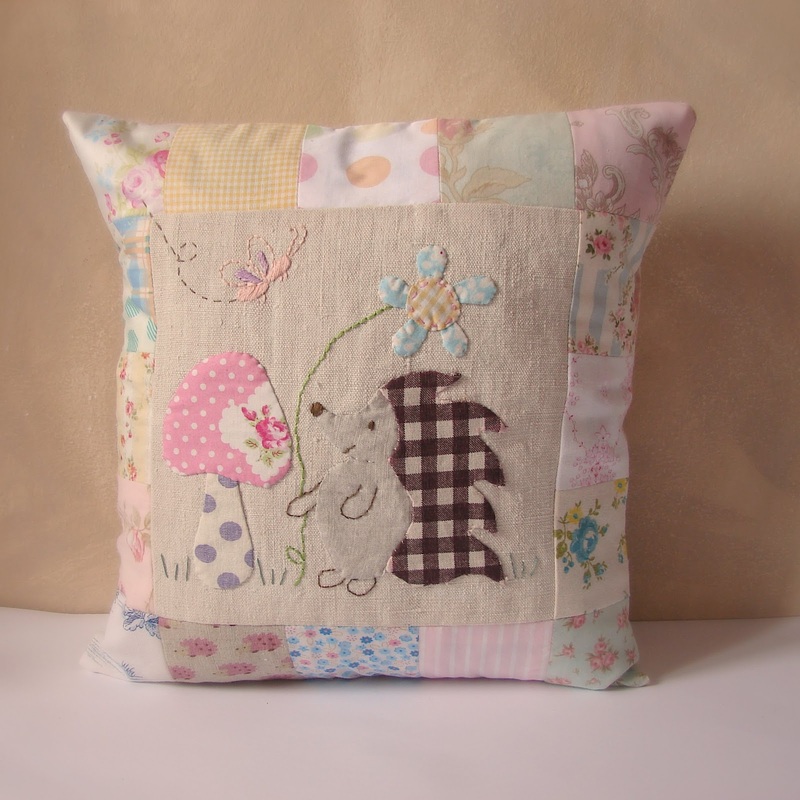 It is made with antique linen/hemp in the center with pretty soft coloured fabrics surrounding. 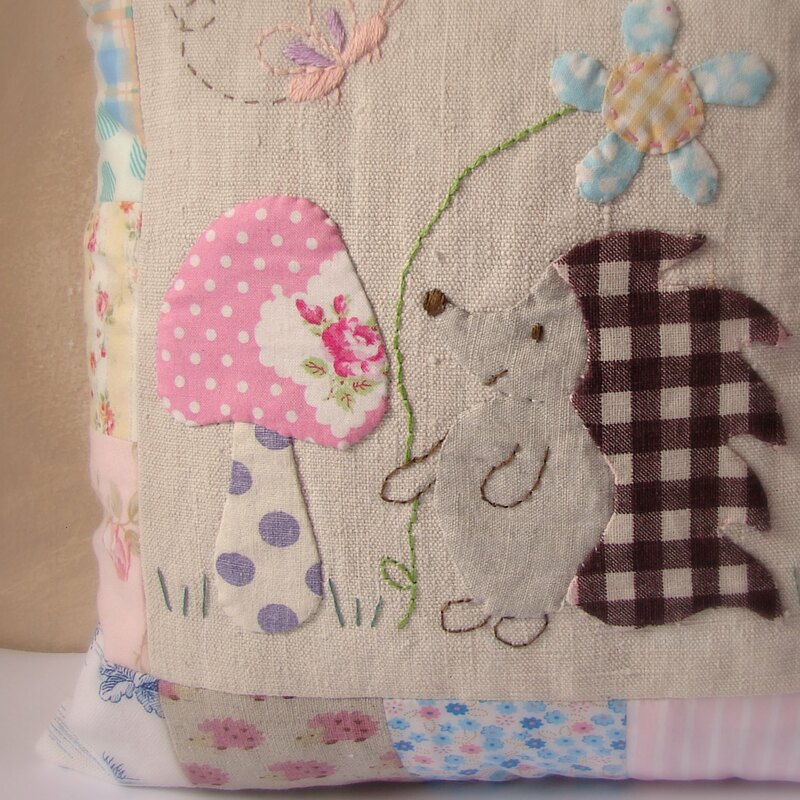 It's finished off with a sweet hedgehog applique and hand embroidery.